I love finding new plants and flowers we do not have in our area. This is another one. I'm thankful I'm part of a group that will identify what I don't know and I can continue to learn, even at my age! I never new about a Castor plant. It's beautiful as well and I've gained knowledge about it. Thanks! I appreciate all of your comments on my photos. You took a perfect photograph of whatever it is, great shot. Lovely and distinct looking flower !! Fine detail ! Great capture! I have seen these a lot in Zion Natl Park and the center of the Castor bloom before it unfolds is very interesting up close. Oh so pretty. And it's very unique too. I'm glad you got the name from several of our superb photographers on SM. This is a great shot! Love it! 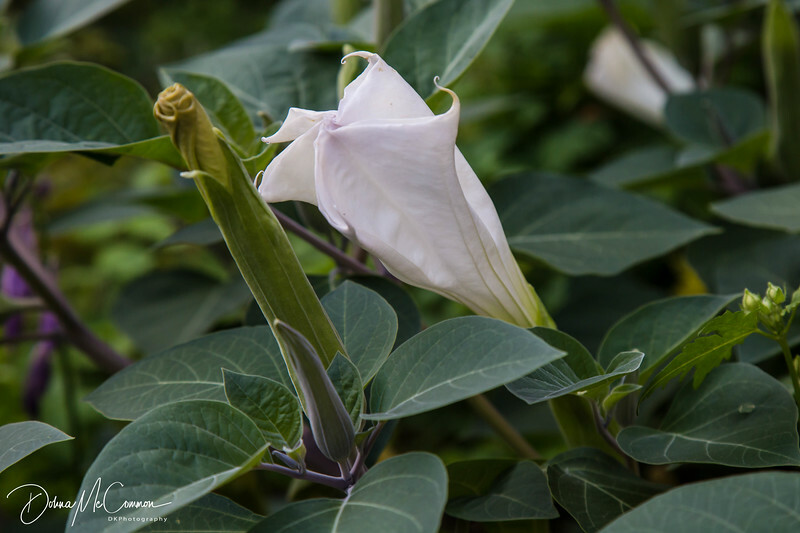 Terrific capture of the datura! Nice closeup of this delicate bloom.